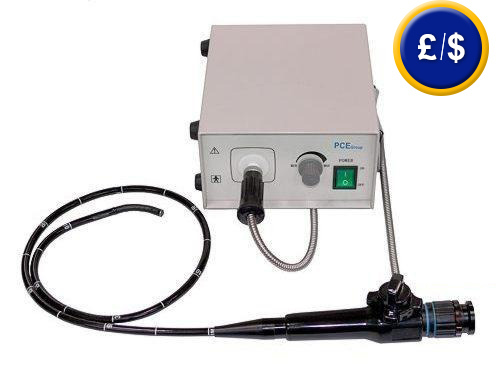 The PCE-CLE 150 cold light endoscope was specially designed for laboratory use or for production control of components. This endoscope consists of a cold light bulb and flexible optical cable. This provides the device with an ample field of vision of 80°. The endoscope's cable is provided with markings to allow the user to determine the depth of penetration. The visible sharpness can be adjusted using a focusing dial. 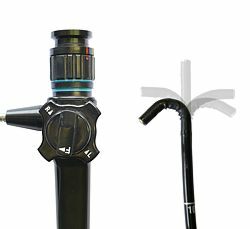 This link shows an overview of all the available endoscopes which will suit your needs. 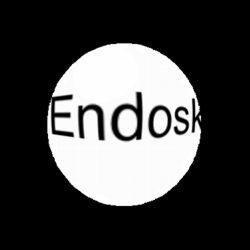 - the dial at the end of the endoscope allows to adjust to the endoscope field of view. The endoscope has flexible fibre optics, which is composed of a durable, water resistant cable. Thousands of optic fibres make it possible to transfer visual information through an optical cable to our eyes. The flexibility of the fibre optic conductor is an important factor in almost unlimited use of the endoscope. The ends of the fibres are positioned identically to each other. When the device is turned on, it sends a beam of light through the fibres from the cold light source to illuminate the area to be inspected. 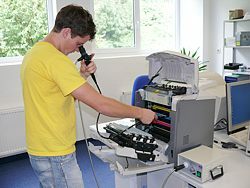 The image data is then sent back through the fibres to the eye-piece of the endoscope. This model comes with a flexible point (up, down, left and right) adjustable via handgrip. This gives the device a field of view of 80°. Approximately 10,000 pixels will generate a very sharp optical image of the object being observed. This allows to detect breaks in machinery components. The cold light endoscope is a key component in production control and final production, such as warehouses. It is also used in institutional research and development, such as industrial machinery or industrial electronics. Thanks to its light weight (300 g for the endoscope and 4.6 kg for the cold light source) it is highly mobile. The only limitation of this portability is that it requires connection to a mains power source (230 V). The device is ready to be used straight out of the box. So you can immediately begin to optically examine your components or products.